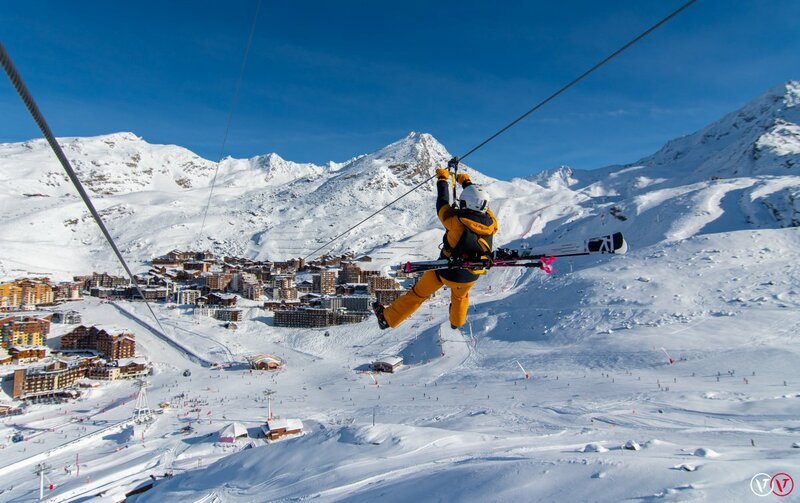 Val Thorens already has the highest zip line in Europe, but that’s up at 3000m from the top of the Orelle ski area. This is right in the heart of the resort. Head to the start at the top of the Moutière chair lift where you will be safely strapped into a harness, with your skis strapped to your back. You then launch on a 1800 metre long flight, covering a 200m vertical descent, flying 65 metres above the slopes. The landing is in the centre of Val Thorens in Place Caron. The double lines mean you can race your family and friends in simultaneous departures. There’s also the chance to keep a video souvenir filmed by GoPro. 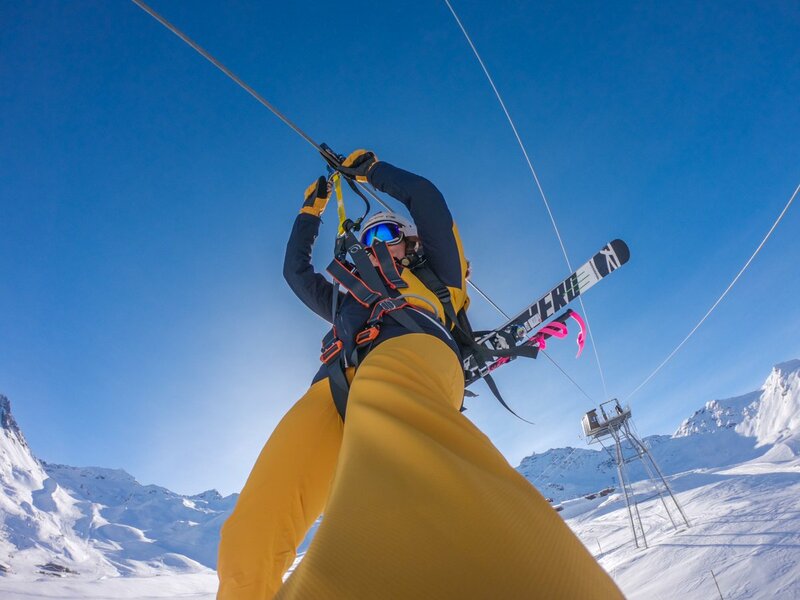 The new zip wire cost €1.2 million of investment by Val Thorens’ lift company, SETAM, and will be open winter and summer, every day. 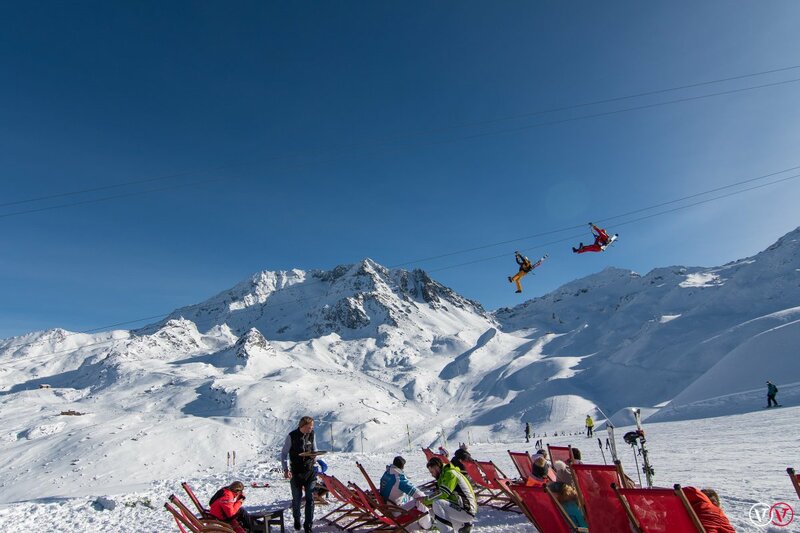 This entry was posted in Family Ski Holidays, Val Thorens and tagged val thorens, zip wire. Bookmark the permalink.